Which soccer cleats are professional using? 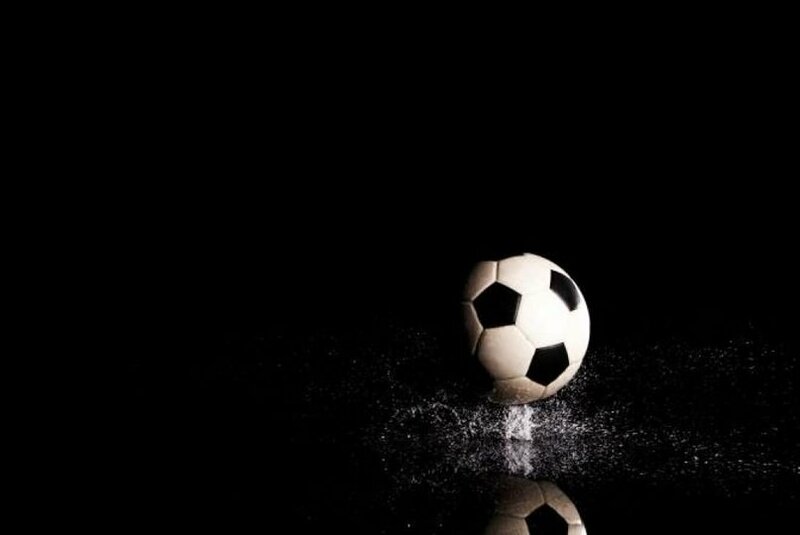 Why Is A Soccer Ball Black and White? Soccer is one of the most popular sports in the world. While most people know how the game is played and understand the rules and regulations, not everyone knows why a soccer ball looks the way it does. This isn’t just about those hexagon-shaped panels or the size of the final product, but about the basic black and white pattern of a standard soccer ball. If you love soccer and have been curious about why the soccer ball looks the way it does, here you’ll find some interesting information about it that you can share with your soccer-loving friends and family. The soccer ball has changed throughout the years. It wasn’t always an inflatable piece of plastic patterned with black and white hexagons. In fact, when soccer first came to be, the ball was actually an inflated pig’s bladder that was covered in leather. Thankfully, time has moved forward and different advances over time pushed the pig’s bladder to the side and manufacturers started using rubber, leather, and plastic to make soccer balls. Charles Goodyear developed and made the first soccer ball using his patented vulcanized rubber in 1855 while HJ Lindon created one of the original inflatable rubber bladders that were used in sports balls in place of pigs’ bladders. Both of these developments lead to the creation of the traditional soccer ball as you know it but not before it went through a few more changes. The ability for a great soccer ball to retain its shape has been one of the most important factors throughout the decades of the game’s history. This is why leather was the chosen material for encasing the rubber bladder. In the 1900s, soccer balls were made by covering inner tubes with brown leather made from the rump of a cow. They bounced well and were strong enough to withstand being kicked around. The end result of the production was a stitched together brown ball with an inflated inner tube inside of it. As soccer became a regulated sport, the design of the ball needed to be agreed on. Here, the English Football Association declared that soccer balls must be round with a designated circumference of 27-28 inches (a regulation that is still in effect today). The regulations also state that the ball must be encased in leather or another approved material. This is where most of the changes to the primitive soccer balls came about. In 1937, soccer balls were upgraded a bit, mainly because of the sport’s popularity and the first World Cup competition happening in 1930. In that World Cup game, Argentina and Uruguay played against each other. They couldn’t agree on which ball to use and thought that using the Argentinean ball in the first half and Uruguayan ball in the second half would be a fair compromise. While this seemed like a good idea, it actually led to some controversy. With the use of the Argentinean ball, Argentina took a 2-1 lead going into halftime. However, when they switched to Uruguay’s ball in the second half of the game, Uruguay came from behind to win the game 4-2. The differences in the quality of the leather used to make the soccer balls are believed to have played a part in this outcome. Understandably, this created a controversy over whether or not the differences between the two balls led to a flawed outcome. To keep this from happening in the future, upgrades were made to the soccer ball throughout the years in terms of the material. Most notably, cloth carcasses were used between the leather and the rubber bladder to help control the shape and to help with water retention. This let the ball move better and made it safer for players to hit headers since the ball wouldn’t become too heavy from absorbing water during the game. However, it wasn’t until the 1960s when synthetic balls were made and used. Here, synthetic patches were stitched together in a designated pattern that was known as the Buckyball thanks to Richard Buckminster Fuller’s design. Buckminster Fuller was actually an architect who stumbled upon the design while trying to come up with ways to build structures with the least amount of materials possible. The final product is what you know today: a spherical ball with panels of hexagons and pentagons sewn together across the surface. While the Buckyball is the standard design that is still used, developments have continued with companies using high-tech materials and manufacturing processes to create their soccer balls. The overall goal is to have the ideal soccer ball that is waterproof, moves fast in the air, moves accurately when kicked, is durable but feels soft, and is safe for headers. If a ball meets FIFA standards, it’s considered passable. While the materials were upgraded over time, the color remained brown throughout the 1900s. However, with the invention of television and the airing of games, the brown ball proved to be a problem; it was hard to see on the black and white televisions. To help this, a white ball was permitted in 1951. Orange balls were also permitted when games were played in the snow. Finally, in 1970, the black and white soccer ball that you know today came about. It was known as the “Telstar” and was originally made by the popular sports brand Adidas. Adidas came up with the black and white pattern to make it easier to see on television but also because the contrasting colors helped the players on the field. The placement of the black pentagons helped the players figure out where to put their foot in order to move the ball the way they wanted to. The “Telstar” pattern became the agreed-upon standard in FIFA and other leagues. It was so beloved that it was selected as the official World Cup ball every year from 1970 to 2006. While the black and white design is still popular and considered to be iconic, nowadays, soccer balls come in different colors and patterns. This is mainly because colored televisions are standard and people no longer have a problem following the ball due to its color. The variations seem to have been met with good reviews from professional organizations, but there are still plenty of people who believe that the black and white Telstar ball is still the gold standard of soccer balls. Your Search For Best Soccer Cleats Ends Here! Best Soccer CleatsIt is very difficult to find the right pair of sports shoes these days. The biggest challenge in shopping for sportswear is trying to look beyond the athlete’s endorsement and really focus on the features of the product. Most of the time people are mesmerized by the big photo on the billboard of a famous sports person saying: “buy this so that you will be like me.” What a cliché! 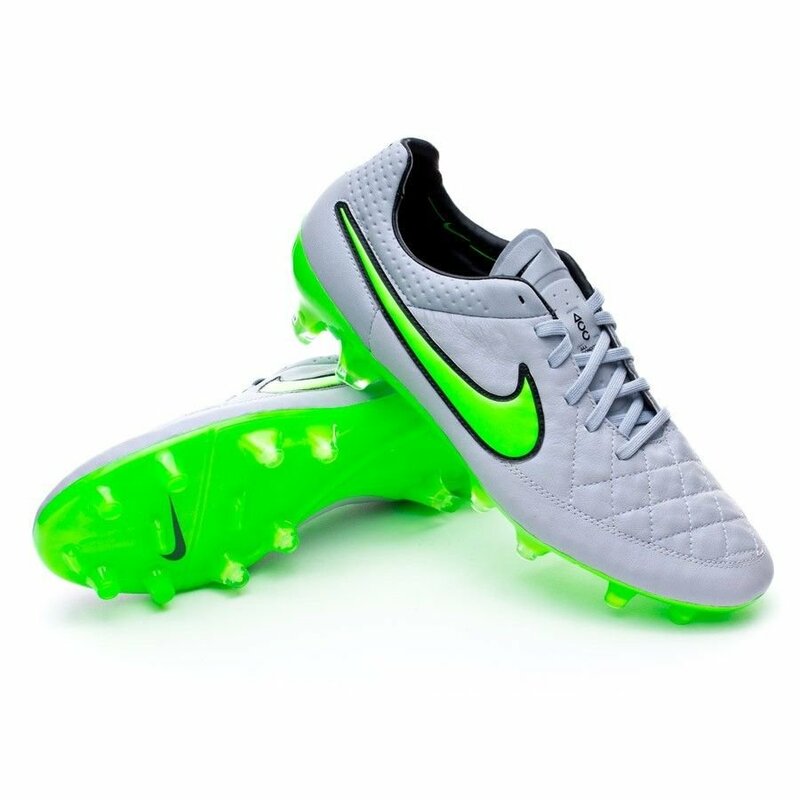 So before you spend the money, make sure that you are getting the best soccer cleats for your needs. Wearing your favorite player’s pair of cleats won’t change the way you play the sport. Everyone knows that but a lot of people still refuse to believe that. I am a value driven consumer and I always want to get the best value for my hard earned money. Truth be told, the person on the billboard will not pay for my pair. I need to know what is out there and understand the right set of information to help me make the right decision. Choosing your soccer cleats can sometimes be very frustrating and time consuming. What works for one person may not be the case for the other. We all have specific needs. Every athlete and wise consumer has one. At the end of the day, it is all about making the right choice in order to satisfy that need. Your search for the right pair need not be full of complexities. Let’s simplify it and take a pragmatic approach. As the old adage goes, “never tell a person what to do unless you have walked a mile in his shoe.” The best way to get advice on this matter is to hear it from someone who has spent an enormous amount of time researching the market and testing out the best pair of soccer cleats available today. It is important to compare product features first in order to understand what the product can do for you. Your choice will always be dependent on how the pair can satisfy your growing demands. Are you going for style or for athletic performance? Do you want something that is a snug fit or with a little space for comfort? Do you want better handle or traction? As a rule of thumb though, you can’t win them all. Nothing out there is 100% perfect and there will always be a negative side to every story. The key point to look at in making the right choice is to ensure that the good outweighs the bad. In the end, as long as it fulfills your basic requirements, that should be more than enough. Anything on top of it is a bonus. With so many products around, it is really difficult to decide upon the best product, so we have created a great resource to help you in choosing the best soccer cleats. Otherwise, you can quickly compare top 3 products, right below. After a long and arduous search, I have consolidated my choices to three distinct models. Kelme Michelin Star 360 Indoor Soccer ShoesAmong the three choices, this is the most expensive one but with key reasons to boot. It came from a venture of two companies that are known for their expertise, Kelme and Michelin. Kelme is known for making high quality and superior athletic shoes in the sport of football, futsal, basketball, running and tennis. Michelin is one of the best tire manufacturers in the world and is used by almost 50% of the cars globally. Run the equation together and the technological combination of these two marks an interesting innovation in the world of shoes. Spanish design plus F1 rubber makes a tough pair of cleats to beat. If you are serious about your football, this pair will give you enormous control and stability. The sole is technologically designed to ensure better grip and traction on hard surface. You don’t have to worry about slipping or sliding when you are in a pair of these bad boys. It holds ground similar to tires screeching the on the road. More importantly, the material used gives extreme comfort to the user and enables the wearer to perform better. If you are looking for quality, this is a very good buy. What’s the catch? It’s the price, the size and the design. The first thing I am looking at is the value in relation to the product. The price is a little on the extreme side. If you don’t mind paying extra for soccer shoes, this one’s for you. You need to watch out on the size though as it might give you a hard time. You need to choose half a size smaller to ensure you get the right fit. Among the three, it’s a little long given the material composition of the outsole. Finally, if you are just going to use this for playing, it goes perfectly along with the soccer uniform. But if you are planning to use this other than kicking that ball, case in point everyday use, you might miss out on your fashion sense. It’s hard to match with any other clothes given its sporty design. Let’s just say that this would be a very expensive pair to go along with my everyday jeans. Nevertheless, if you can sacrifice fashion over comfort, this is a good pair for you. Adidas Men’s Samba Classic Soccer ShoeNothing beats a classic. This pair is the lowest priced option amongst the three. It is a mass produced product that has been present for quite a long time. The simple yet stylish design is what is making it a popular buy in the market. The reputation of the manufacturer precedes itself. Adidas is a brand that is always associated with football and quality. German precision if you may. The biggest advantage of this shoe is that the technology has been perfected throughout the ages. Numerous football teams use this brand because of its dependability on the green. If you are looking for a pair that you can use for play and work, this one is for you. The insole and outsole technology is exclusive to the Adidas brand. It provides excellent control and comfort for the wearer. The material used is soft leather giving it a genuinely great look. The caveat, it’s not a specialized soccer shoe. Given the rigorous demands of the sport and the evolution in the game that has happened through the years, if you are very serious about your football, this is not for you. The main advantage of this pair is style, price and durability. But surviving the rigors of tough, competitive play is another story to tell. If you’re primary concern is looking good and having a nice pair of cleats to wear that goes with jeans or everyday clothes, this classic is what you need. In the end, this pair will be a great value to your money given that you can get higher returns on your purchase acquisition. You can get more than one pair and switch usage on a daily basis. Adidas Men’s Copa Mundial Soccer ShoeConsistency will always be a prime choice. What I like about this pair is the combination of elegance and dependability. Being made by Adidas, you can be sure that it is of supreme quality. It is made from kangaroo leather and its sophisticated design makes it a popular choice amongst football players. Like the other two choices, this pair boasts of control, stability and durability. The unique feature of this pair is that it’s all weather and terrain. The design also promotes exceptional comfort for the wearer and it goes with everyday clothes as well. This is optimum performance with style. The catch, the suds are prominent compared to the three. It’s good for both serious football players and those looking for a nice everyday pair. How to Choose the Best Soccer Cleats? There is no right or wrong answers, only right or wrong assumptions. The fundamental choice boils down to usage and price. Where will you be using this pair of shoes? Identify first if you are a serious football athlete, a consumer looking for a pair you can use every day or just a fan trying to look like your favorite player. It’s all about fashion and performance. Soccer shoes have been relatively made the same with certain variations on the materials used. It’s like ice cream with different toppings on top. The more ingredients placed, the more expensive it becomes. Always remember that quality comes with a price. If you are willing to take on the investment, then go for it. Also remember that brands have cost. In fact, it is even more expensive than the product itself. But once it has scale, you have to look at it on a different perspective. The more products are out in the market, the lower the price will be. This is not an indicator that they downgraded their shoes. Rather, it is a simple case of supply and demand. You even have to speculate that if they have superior distribution, then this might mean that they are able to build scale on their raw materials making their expensive but high quality lines really affordable. The mainstream market is filled with options that are usually clouded by rave reviews and fancy athlete endorsements. You need to look beyond it and see how features were put together making sure it fits your requirement. Try to understand that if these things will benefit you in anyway. Do not fall into the trap of choosing because I heard from a friend or from his friend or from his friend’s wife. Look at it this way, your feet is different from mine. But what I can say is this, I can show you the options and you can take it from there. You do not have to take my word for it. Review the data and see for yourself. After laying everything on the table, my choice boils down to a good mix of quality, style and price. I want the taste of champagne for the price of a beer. I want a pair of shoes that I can use beyond football and a product that has exceptional reputation which will have an impact on quality. Shoes usually lose their value over time but I prefer a pair that I can stretch my investment on. I prefer a classic. Adidas Men’s Samba Classic Soccer Shoe is my choice. Amongst the three, it is the best buy given its rich heritage of quality and elegance. How many times can you actually play in a week given your hectic schedule and stuff? Whether you are a student or a professional, this pair is perfectly made for you. The price of this product is a true value for money. You can but more than one pair and you will not wear them out. The best part of it all, it is made by a company that has sold it to thousands of satisfied users worldwide. I don’t think people will buy it just because someone said so. They might have found something in it that makes it truly unique. This is my choice. I believe this option should be yours too. So here you GO! Once you’re decided what type you want to go with, make sure to read soccer cleats reviews online and see what other people are saying. This will ensure that you end up with the best soccer cleats for your needs. As expected, the product has received numerous reviews from customers on online shopping platform especially from Amazon, where it has received an average rating of 5 stars. Most of the reviews are positive with only a few negative ones. Some customers have exclaimed how the boot is amazing and great to wear, others say how the cleats have a nice first touch, and still others say how good they look. A few customers have complained about the durability of the boots, saying they leather tears quickly. However, what all customers seem to agree on is that the shoes are very comfortable. Diadora Maracana RTX 12 Soccer ShoeThe Diadora Maracana RTX 12 is a compulsory soccer cleats that every athlete has to get. Specially manufactured for the finest performance on the field, they have a basic design that feels comfortable both on the feet as on the ground. These shoes come in simple color ways from the Black/Fluo Yellow to Yellow/Fluo Silver. 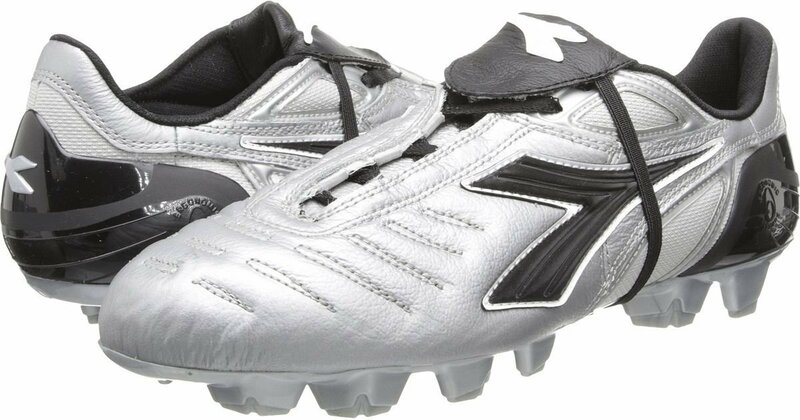 The Diadora Soccer Men’s Maracana RTX 12 soccer shoes have a 4.5 rating on the Amazon which is an impressive ranking is given its recent entry to the market. At the time of writing this review, there are 17 customer reviews of the product on Amazon. However there have been some complaints sighting the fit of the shoe. One customer complained “I ordered a size smaller and they are too big and stretched immediately making the problem worse…” This problem has however been addressed; customers are advised to buy the shoes a size smaller due to the kangaroo leather stretching. There have also been complaints from customers with narrower feet as the Diadora Soccer Shoes have a wide outline. However, even with slimmer feet, the Diadora have a firm grim that reduces the effect of the space that would supposedly be left due to the wide outlay. Customers generally love the product and recommend it for all athletes both young and old.